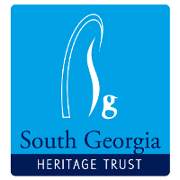 The South Georgia Heritage Trust has managed South Georgia museum for the Government of South Georgia since July 2006. South Georgia Museum was originally set up by biologist Nigel Bonner as a whaling museum, to conserve the decades of documents and artefacts from the sealing and whaling eras that were in danger of being lost or destroyed. Over time, and thanks to the love and care bestowed on it over fourteen years by caretakers Tim and Pauline Carr, the museum collection grew to encompass all of the historical and natural elements of the island in its collection. See the South Georgia museum website to view the online collection and read the museum staff’s blog under latest news. Read more about Museum projects in this section.